This week we have been thinking about the significance of Remembrance and talking about the 100 year anniversary since the end of World War 1. 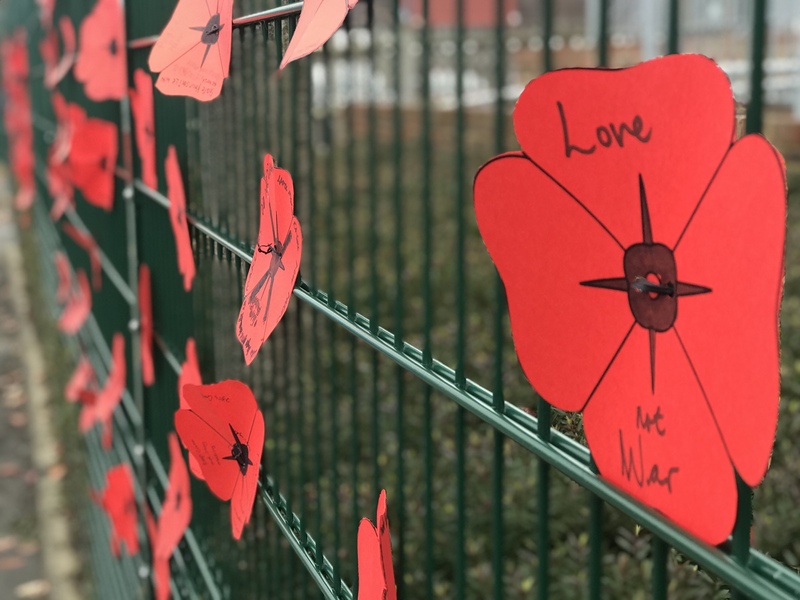 Part of our learning involved all of the children making a poppy to display on the school fence with a message of peace. You can watch a video of this below. Remembrance 2018 from Paul Hooper on Vimeo.